Throughout your lifetime, you do what you can to provide for your family and make sure that there is plenty of happiness in everyone’s lives. When you pay that much attention to your family when you are alive, it becomes a bit frustrating to think that all of the happiness you tried to create could disappear when you pass away. But there are ways of preventing your family from erupting into an estate battle after you die and do your part to preserve family harmony. You are concerned about your estate after you have passed away, but chaos could break out sooner than that if you become incapacitated from an accident or illness. When you become incapacitated and no longer able to make your own decisions, you want to have people in place to make decisions for you that you and the family trust. A power of attorney will allow someone you choose to make financial and business decisions for you, while a health care proxy will give a trusted individual the ability to make medical decisions for you if you are unable to. You should make an appointment to talk with an estate planning expert to discuss your will. With your will, you can outline all of your final wishes when it comes to the distribution of your assets. Your will is also where you will choose an administrator of your estate. This is the person who will take care of all of the court orders regarding your estate and make any decisions regarding the use of your assets to satisfy estate debts. A will is the framework you can use to make sure that everything you want to see happen with your estate is executed exactly as your family would expect. If you have considerable assets, then your estate planner might recommend putting together a trust instead of using a will. A trust does not have to go through probate, and the transfer of assets to beneficiaries happens automatically, in most cases. 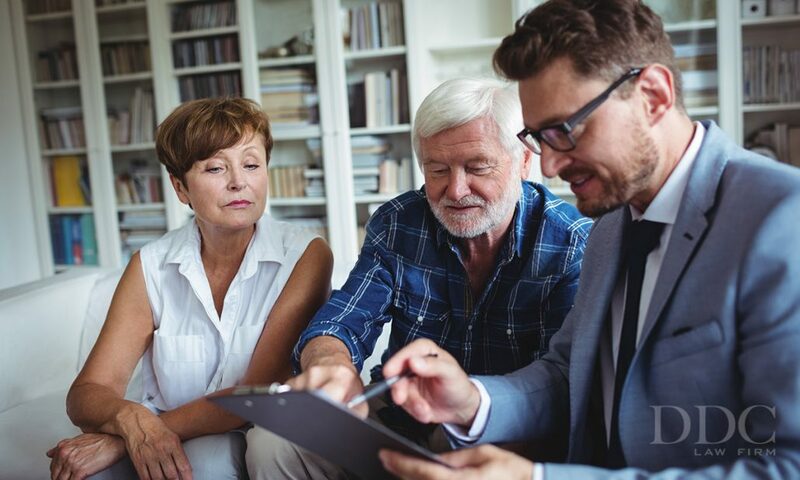 A trust also allows you to help your family avoid estate taxes which, if you have an estate that reaches or goes beyond the estate tax minimums, could be considerable. Most people forget that when they pass away, their estate is responsible for paying their final debts. If all of the assets of your estate are used to pay final debts, then there will be nothing to distribute to beneficiaries. A good life insurance policy making your spouse or estate administrator the beneficiary can pay off all of your estate debts and leave your assets untouched. This would allow your assets to be distributed as you point out in your will and avoid estate battles. No one wants to leave their family in a position where there could be a battle over estate assets after they pass away. With the help of a qualified estate planner, you can be sure that your final wishes are carried out to the satisfaction of all of your heirs and beneficiaries.